Home Health	Heal the Liver with Milk Thistle and Heal your body and mind! Heal the Liver with Milk Thistle and Heal your body and mind! My discovery of the importance of the human liver has truly changed my life forever. No, I don’t literally mean I had no knowledge of the liver, I knew it existed but I had no idea of the livers function within the body outside of having something to do with the blood. Luckily one day a friend of mine made an observation of my ankles and told me my left ankle was swollen. I hadn’t any known injury to my foot or ankle so I immediately checked my ankle in a full-length mirror and saw the swelling myself. Seeing the swollen ankle was somewhat startling, but I put it behind me started my journey to find what could be the cause of my swollen ankle. After a few hours of online research I found out what caused my ankle swelling, it’s a condition called edema and is linked to liver toxicity. But let me first elucidate what I found out about the liver. The liver is a fleshy organ that sits on the right side of your stomach under the rib cage. It weighs about 3 pounds and it’s reddish-brown in color. The liver is miraculous in that it’s the only visceral organ that has the remarkable ability to regenerate itself. The liver can actually regenerate itself after either surgical removal or after chemical injury. It’s known that with as little as 25% of its original mass the liver can regenerate back to its full size. – detoxifies chemicals and metabolizes drugs. – it breaks down and detoxifies substances in the body, and also acts as a storage unit. – secretes bile into the intestines to aid digestion. – breaks down medications drugs, alcohol and is responsible for breaking down insulin and other hormones in the body. 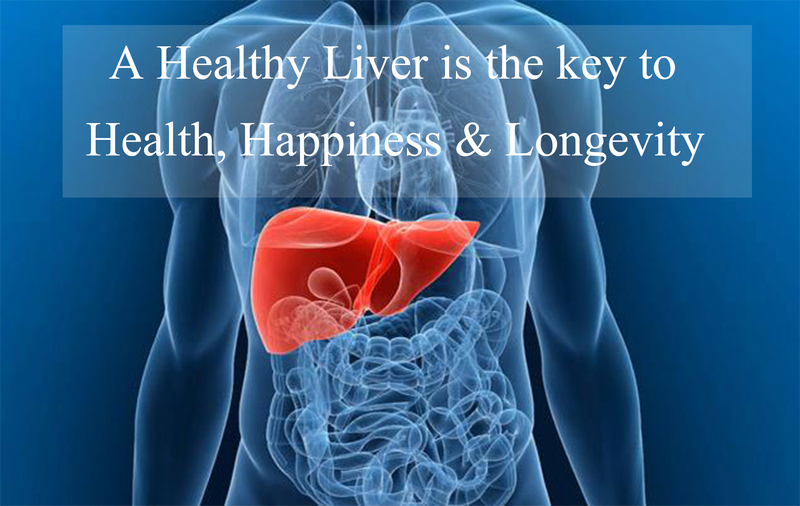 – the Liver is responsible for the smooth flow of Qi(subtle life force) and blood in your body. – the eyes are directly connected to the Liver. If you have any eye issues such as blurry vision, red or dry eyes, itchy eyes, it may be a sign that your liver is not functioning smoothly. – the tendons are associated with the Liver. Traditional Chinese medicine states that strength comes from the tendons, not muscles. – anger is also associated with the Liver. If you are often irritated, get angry easily, have trouble releasing and letting things go, you are experiencing liver toxicity. The liver becomes toxic when it enters the state known as“fatty liver” or steatosis, it’s a term that describes the buildup of excessive fat in the liver. Nonalcoholic fatty liver develops when the liver has difficulty breaking down fats which causes a buildup in the liver tissue. The cause is not related to alcohol. Nonalcoholic fatty liver is diagnosed when more than 10 percent of the liver is fat. Alcoholic fatty liver is the earliest stage of alcohol-related liver disease. Heavy drinking damages the liver, and then, as a result, the liver cannot break down fats. Abstaining from alcohol will likely cause the fatty liver to subside. Typically within six weeks of not drinking alcohol the fat will disappear. However, if alcohol abuse continues, liver cirrhosis(scarring) may develop. While it’s normal to have some fat in your liver, more than 5 to 10 percent of your liver weight is fat in the case of fatty liver. Fatty liver is a reversible condition that can be resolved with changed lifestyle behaviors. This condition often has no symptoms and typically does not cause permanent damage. – wake up in the morning feeling lethargic and drained, as if you’ve had no sleep at all. – skin itchiness, skin blemishes and spots (liver spots), a grey-yellowish hue to the skin, rashes (such as psoriasis and rosacea), excessive sweating with unusual offensive body odor, pimples of a reddish color appearing around the lower face, blood vessels (more than usual) visible on the face, and your palms and soles could be red and itchy. – hormonal imbalances made evident via reactions to contraceptives as well as worsened menopausal and premenstrual symptoms. Hormone imbalances can also cause hypothyroidism. – allergies and heightened reactions to food. Sensitivity to chemicals and chemical odors, cigarette smoke, and petroleum fumes. – Inflammation, reoccurring infections, Chronic Fatigue Syndrome, Fibromyalgia and other symptoms of poor immunity. – type 2 diabetes is often a symptom of a fatty liver because a poorly functioning liver can no longer remove glucose from the bloodstream effectively. Typically these two conditions actually go hand in hand and often occur simultaneously. – the liver is referred to as “the seat of anger” and the anger stored within it needs to be relieved and released. An unhealthy liver signals its distress through reoccurring headaches, impaired concentration, depression, a feeling of overheating and mood changes (anger & irritability). – a fatty liver will wreak havoc on our digestive system. – sensitivity in the liver area, indigestion, irritable bowel syndrome, constipation, reflux, hemorrhoids, vomiting and gall bladder disease. – intolerance to alcohol or fatty foods. – not using the restroom frequently or inability to. – with metabolism reduced to a sluggish pace, you will likely notice weight gain and difficulty or the inability to lose weight. A pot belly and/or a roll of fat in the upper abdomen area, cellulite and lumps of fat can become manifest. Fat building up in and around other organs and arterial plaque build-up known as atherosclerosis which leads to stroke, heart attack, and high blood pressure. Many of these symptoms are commonly treated with pharmaceutical drugs, however, the root cause of liver toxicity typically goes unnoticed. As the governor of the body, an optimally functioning liver means that the other systems in our body can also work optimally. Just taking a gander at the list of symptoms we can clearly see a toxic and overloaded liver will wreak havoc in our body. After absorbing all of this incredible knowledge about the liver, I realized my swollen ankle was just the tip of the ice-burg in regards to what I was experiencing from liver toxicity. – my digestion started to operate at a snail’s pace. – I couldn’t take certain supplements like iron and copper, or transdermal magnesium. After perusing all kinds of websites talking about gluten-free diets, raw vegan diets, turmeric etc and so on and so forth will detox the liver. I became somewhat distraught as there is no way in hell I was going to do anything like a gluten-free diet. Fortunately, I eventually found an interesting article that caught my eye explaining the simplest of remedies for liver toxicity. Milk thistle is a homeowners nightmare being a common weed that grows abundantly in Europe. Little do they know that this very weed they are eradicating from their lawns is one of the keys to maintaining a healthy and disease-free life! While it has many different benefits, milk thistle is primarily known for supporting the liver and a detoxifier. Milk thistle has shown to decrease or even reverse the damage done to it by prescription medications, antibiotics, pollution, and heavy metals. It helps rebuild liver cells while removing toxins from the body. Milk thistle is effective in naturally reversing the harmful effects of alcohol consumption, food pesticides, heavy metals in our water supply and pollution in the air that we breathe. Milk thistle seeds are a high source of the antioxidant flavonoid called Silymarin. Silymarin is the main flavonoid that gives milk thistle its life-saving abilities. So now the trick was to find which supplement to use. It didn’t take long as I searched Amazon.com for the highest rated milk thistle product from a reputable company, and Jarrows Milk Thistle extract is what I choose. I didn’t take the recommended dosage, but I took double the recommended amount. Believe it or not on the 3rd day my ankle swelling disappeared. My energy started to come back by the end of the week and I just started to feel a sense of well being. After a month of taking the milk thistle I tried taking Iron, copper and transdermal magnesium, thankfully I was now no longer experiencing the horrible symptoms I used to when taking these supplements. I also started to notice the hard to go fat starting to melt off, especially around the waist. Being freed from all of those liver toxicity symptoms feels great. I was so accustomed to not feeling well because of the liver toxicity, that it took me a short while of adjustment to become accustomed to feeling healthy and great. Good Luck on your Journey to Health! Cure Rheumatoid Arthritis with Lemon Water!